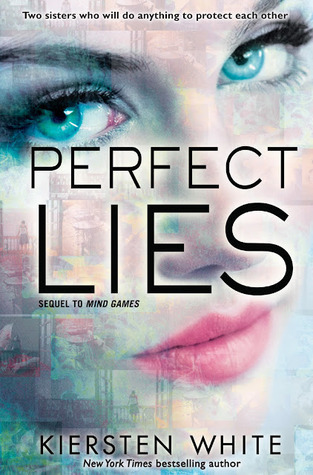 I read Perfect Lies immediately after Mind Games and it’s basically more of the same (which is not a bad thing). After the happenings of Mind Games Fia and Annie will have to battle to be completely free from the Keane Foundation. However, how do you do this when they have Seers that get visions every time you form a plan? There are two time lines, one following Fia in the “week before” and one following Annie that starts “four months before”. If that makes any sense. We basically see Fia in the few days running up to the climax of the book, and we see Annie fill in the gaps between the climax and the end of Mind Games. This also means that at first when you’re reading Fia’s parts she’s way further along in the story, which creates a lot of suspense because she alludes to some happenings, and you’re like “WHAT? DID THIS HAPPEN?”. A complicating factor is that Fia is even more broken than before, and even within the confines of her mind, she lies. Perfect Lies packs a lot of emotional punches and toys with your thoughts, just like its prequel. It’s a short book, and that format works perfectly for it. If we had to spend 500 pages in Fia’s head I think we all would go crazy along with her. Instead we just get short flashes. There are some secondary characters introduced that I really liked, and there is a bit more romance than in the first book. The romance was surprisingly sweet and cute without being unrealistic. The sisters aren’t exactly in the position to date like normal people, and both their romantic interests reflected that. The ending of Perfect Lies was perfect. Not too overtly optimistic, which wouldn’t fit with the tone of the books, but it wasn’t too dark either. 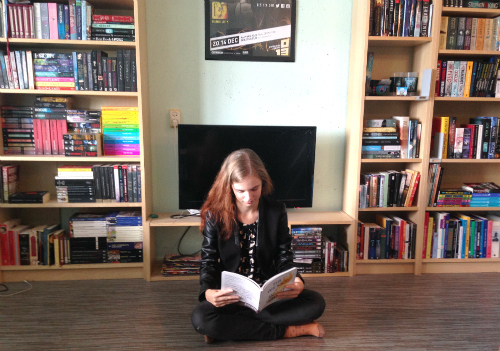 The Mind Games books are great fast-paced thrillers with an interesting writing style.